← BREAKING NEWS! FAREN VANDEGRIFT TO ENTER SWC DISTRICT HALL OF FAME. 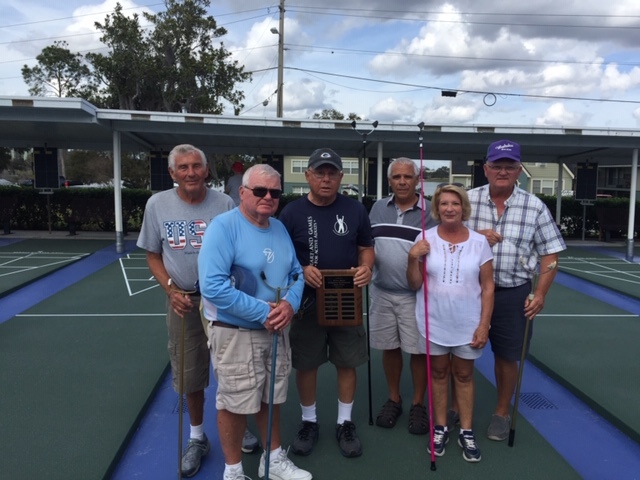 The Winter Haven Shuffleboard Club with the support of the Central District, held the 5th annual Park fun tournament. Twelve parks attended, a total of 72 Amateurs. Glen Peltier gave a short seminar at the lunch break to the delight of all who attended. The winning park team was Reflections on Silver lake in Avon Park. This was their first time attending this event. They were pleased with their performance. Courtesy of the Central district we had coffee and doughnuts in the morning ,pizza, chips and cookies and lots of water for lunch. 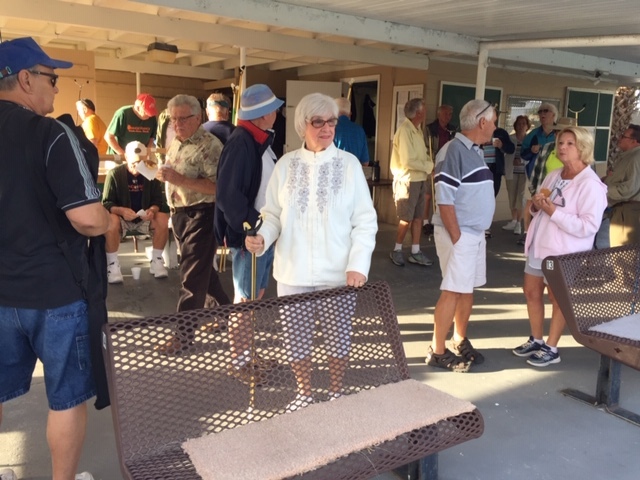 Brenda and Ron Dawson, Bruce Nemcosky, Doris and Charlie Ostrander and Ruth Stewart along with my husband Jim Corbeil, all volunteer their time to help make this tournament a great success. Thank you Marlene and all your volunteers for a job well dun. What a excellent way to get 72 players from so many parks com out(al Amateurs).